An epic description of the brutal transportation of men, women and children out of Georgian Britain into a horrific penal system which was to be the precursor to the Gulag and was the origin of Australia. 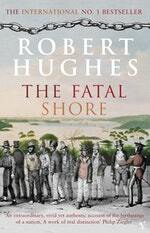 The Fatal Shore is the prize-winning, scholarly, brilliantly entertaining narrative that has given its true history to Australia. Love The Fatal Shore? Subscribe to Read More to find out about similar books.